Tilda helps me practice my colouring, distressing & shabby chic skills!!! 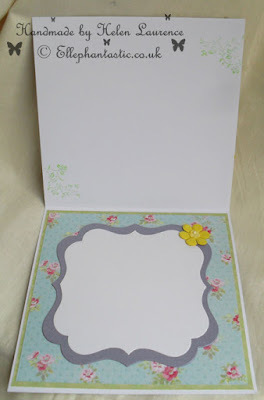 I love blog hopping & seeing all your lovely colouring, distressing & shabby chic makes. However I am rubbish at all 3 ....so I decided to do a bit more blog hopping for some inspiration & actually have a practice at the 3 things I love but can't do! What do you think? I am very happy with the results considering how 'shabby' my colouring is!! Do you think my shading is correct? Sorry I am rubbish with shading!! great job! thanks for joining the corrosive challenge! Lovely card - such beautiful soft shades. 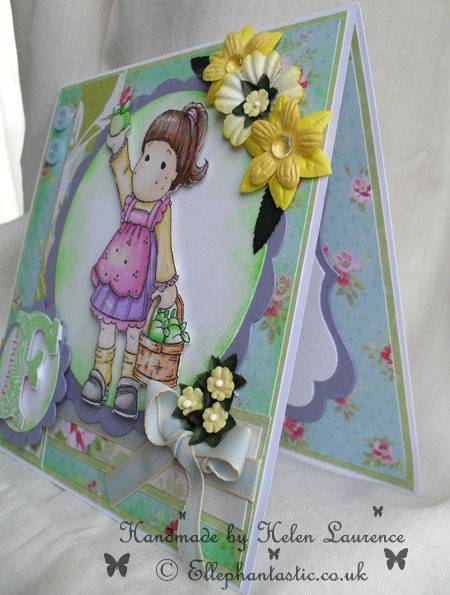 Your card shouts spring!!! Lovely colors and great design Helen! Adorable card!!! Thanks for joining us at Magnolia-licious Highlites! Great job!Thanks for joining us at MSL and hope to see you again on 3/27 for our ribbon challenge. Gorgeous Tilda creation lovely spring colours thanks for sharing with us at Totally Tilda chall this time. Oh what a gorgeous card - am loving your flower power and fabulous layout. Thanx for joining us at MDUC this week. Fabulous way to blend images from different companies ~ SOOOOO lovely. 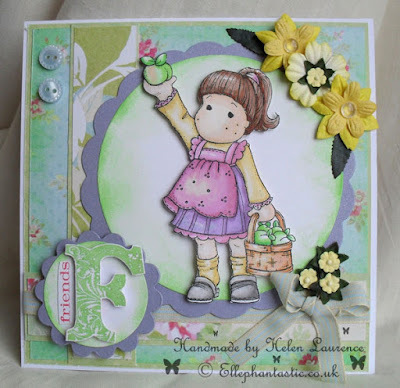 A perfect spring flower creations for the OSC Challenge. THANKS for sharing! this is such a sweet & adorable card! thanks for joining us this week at make it colourful!